Hilberg’s study pursued a mysterious paper trail that, with the spread of Nazi Germany across Europe, transgressed national and cultural boundaries. He studied the documented evidence of the Holocaust, and identified the three key stages of its implementation: identification of the victims, their separation, and their extermination. He drew attention to documents and evidence that had never before been examined, some of which was politically contentious. For example, Yad Vashem purportedly turned down the opportunity to publish his study in light of evidence of Jewish collaboration. The historian also records his struggle to find secure employment during the writing of his work, and his opportunity to work for the United States government as part of its War Documentation Project. The project, which was based in Alexandria, Virginia, was housed in a converted torpedo tube factory. Hilberg worked as part of a team to read and examine captured German records from the Nazi era, which ‘filled 28,000 linear feet of shelf. Each piece of paper was in its original German folder […] It took one glance at all these documents to realize that their contents could not be read by one individual in a lifetime’. The War Documentation Project was part of a concerted effort to gather intelligence about the USSR during the onset of the Cold War. It was known that German military had gathered information about a range of subjects, ‘including the morale of the Red Army and the civilian population’. Interest in the Third Reich itself had waned in light of new perceived threats, and the West did not wish to dwell on the depressing realities of wartime atrocities. Hilberg’s memoir is always aware of the fragile relationship between past and present, between events and the histories we write about them: ‘The words that are thus written take the place of the past; these words, rather than the events themselves, will be remembered.’ This difficult realization prompts Hilberg to take a strong view on those who, in his opinion, misread or misinterpret history and the evidence that remains. Of Hannah Arendt, author of Eichmann in Jerusalem, Hilberg is critical. The book, based on five articles originally published in the New Yorker, is indebted to a number of historians, yet none are credited in the footnotes. Hilberg spots other ommissions: ‘[Arendt] left Jerusalem after a stay of ten weeks, just three days before Adolf Eichmann’s own extensive testimony began’. Hilberg settled into a career teaching political science at the University of Vermont, but his work on the Holocaust was never done. 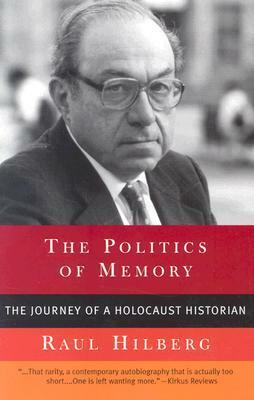 In The Politics of Memory, he writes that each new edition of The Destruction of the European Jews was an opportunity to add new material, new evidence that he had discovered on trips to Israel, Germany and several other locations. He talks about the resistance he faced with the publication of subsequent editions, as evidence he discovered of Jewish collaboration with the Nazis became the subject of media attention. Hilberg also discusses his other work on the subject, including his book Perpetrators Victims Bystanders, and his decision to participate in Claude Lanzmann’s landmark documentary, Shoah. Lanzmann’s documentary is remarkable for its refusal to use historical footage or dramatic reenactments to tell the story of the Holocaust. Instead, it blends contemporary (1970s-80s) footage of historical locations, while survivors, witnesses and perpetrators tell their stories on camera. Hilberg mentions Lanzmann’s conviction that ‘To portray the Holocaust […] one has to create a work of art’. This conviction acknowledges the impossibility of bringing the past back to the present, and the fragile relationship we have with our own collective histories. But in approaching its subject matter from an angle, other insights can be gleaned. 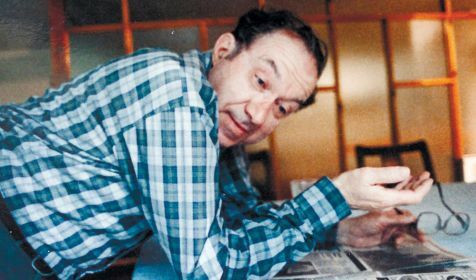 Reading Raul Hilberg’s fascinating autobiography, one cannot help but think that the story of this man’s life is, in a sense, a story of and about the Holocaust. While his historical work aims to approach the Holocaust directly, through tangible documents and recorded processes, his memoir is doing something different. In The Politics of Memory, we do not only see the struggles of an academic in a fiercely political environment, but the way the Holocaust continues to affect and colour cultural, historical and intellectual life in the twenty- and twenty-first century.